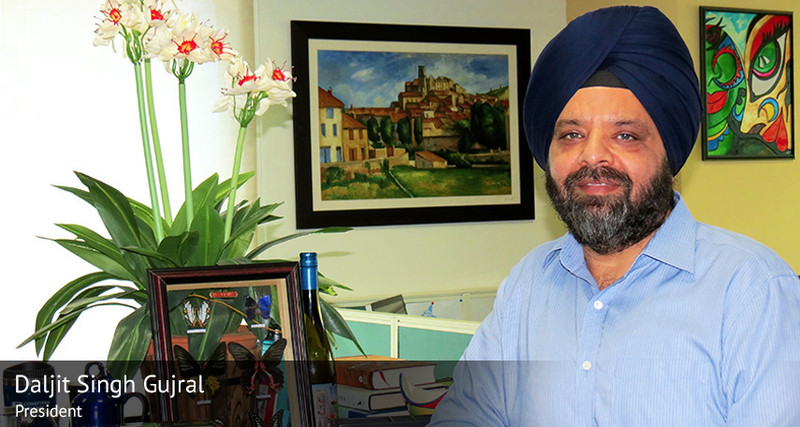 Daljit Singh Gujral – the visionary, who has been associated with the healthcare industry since 1992, has successfully promoted and managed a number of new start-ups in a span of over 20 years and contributed his professional experience to inspire individuals and enrich the industry. In 2013, INSCOL Canada – a nursing institute in Toronto to provide training and to up-skill Internationally Educated Nurses who migrate to Canada, but struggle to complete their nursing licensing provision. Since then, INSCOL has become an international hub for the Global Nurse Program. His approach to any new business opportunity is a combination of vision, foreseeing future needs, and innovative execution to service those needs in the most efficient manner. Graduated from one of the leading MBA institutions in India – XLRI, Jamshedpur. Attended key programs at institutions of international repute, in the areas of healthcare and entrepreneurship, including a program on “European Healthcare Leadership” at INSEAD, Paris. A workshop on Risk Assessment for New Businesses at AOTS, Yokohama, Japan. Been a part of the program on “Building a Global Enterprise in India” at Harvard Business School. His approach to any new business opportunity is a combination of vision that foresees future needs and innovative execution to service those needs in the most efficient manner. From a humble start in 1997, INSCOL has grown over manifolds with facilities in India – Chandigarh, Kochi and Chennai as well as globally in Toronto, Manila and soon in Zimbabwe.